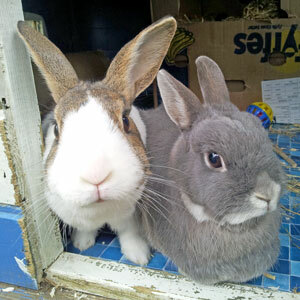 Rabbit Welfare Association & Fund (RWAF) – Britain's largest organisation for rabbit lovers! The UK’s largest organisation for rabbit lovers! Despite being one of the most popular pets, rabbits are amongst the most neglected, with a huge proportion living out their days confined to a hutch, alone and unable to display the behaviours they would show in the wild. We aim to improve the health and welfare of domestic rabbits through a combination of campaigning, education and the most up to date advice. If you are a rabbit owner or thinking of becoming one then there is a huge amount of information for you on these pages. We have fantastic resources for vet members and if you’re in the pet retail trade then find out why good welfare is good business in our Hutch is Not Enough pages. Love Rabbits? 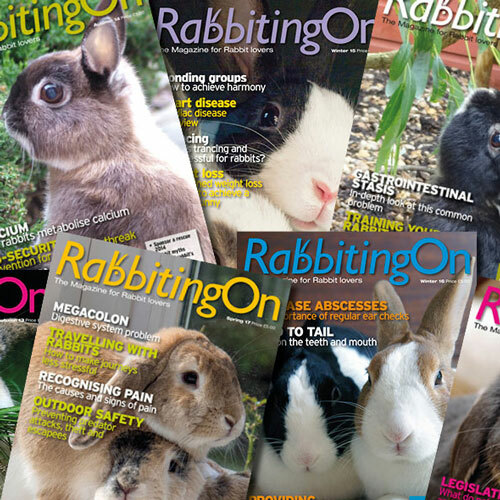 You’ll love Rabbiting On magazine! Our complete guide to rabbit care "On The Hop"
Despite being the third most popular pet in the UK, rabbits are among the most abused and neglected. Countless rabbits spend miserable lives confined to a hutch, alone and with little or no space to exercise, mostly because owners don’t realise what’s involved before taking them on. Are you a rabbit friendly vet? Become an RWAF Vet Practice Member for great benefits and to help us help rabbits. This means that they need company, and that company should be from other rabbits. Once you have witnessed a bonded pair of rabbits grooming each other, lying down together, and eating together, it’s unlikely you will ever want to return to keeping a solitary rabbit. so we’re asking on their behalf. Donations go towards allowing us to continue our campaigns and raise the standard of living for domestic rabbits in the UK. We are always grateful for any donations we receive.